Our skin is our body’s largest organ and has an important role in helping to maintain our overall health … but it may be starving for oxygen. It’s also the first line of defense against the harshness of the environmental factors we encounter everyday. In addition, our skin acts as a filtration system by eliminating toxins from our bodies. 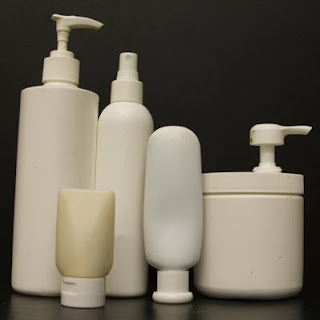 But, if you’re using products containing mineral oil or its derivatives, your skin’s health is most likely compromised. Using mineral oil is like wrapping your skin in plastic so it can not breathe. Unfortunately, many people are still unaware of the detriments of mineral oil, which is the main ingredient in so many personal care products used every day. People presume since it’s an oil, it must be acceptable for use on the skin. However, this is far from true in regards to the actual properties of mineral oil as it does not contain any minerals, nutrients or organic ingredients. It’s an odorless and colorless substance which does not have an organic origin, and instead is derived from underground geologic locations, ranging from rocks, to underground traps, to sand s. (Mineral oil, also known as white oil in the industry, has some close cousins that are used in products as well, so check your labels for any of the following: petroleum, petrolatum, liquid petrolatum, paraffin, paraffin oil, liquid paraffin, liquid parafinum, paraffinum liquidum, and petroleum jelly. When we refer to mineral oil, the same problems apply for these ingredients as well). 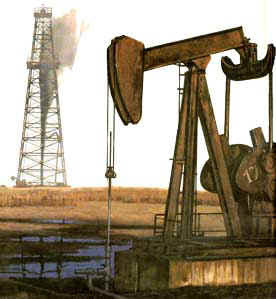 Mineral oil is a byproduct of the distillation of gasoline from crude oil and it is a non-renewable resource. It’s the main ingredient in motor oil. It cannot be absorbed into your skin because the molecules are too large. Rather, it forms a film over the skin and actually clogs your pores because it interferes with the skin’s natural moisturizing factor. This means, it doesn’t allow your skin to absorb water (moisture) or eliminate toxins. This film prevents the skin from absorbing or contacting anything from the environment, but also prevents the natural release of toxins and other waste products by keeping oxygen out. Disrupting this natural respiration process most often results in dry skin and other unhealthy skin conditions. Also, products containing this ingredient can be a cause of skin breakouts, as the blocked pores react to the lack of oxygen and build up of trapped toxins. This layer of film created by the mineral oil suffocates the skin as it can not breathe. It damages the body by preventing the absorption of oxygen and the elimination of toxins. We assume and have been conditioned to believe, if our skin feels smooth, then it must be moist or hydrated. This theory is however, completely misdirected when using products containing mineral oil. After application, the skin will feel smooth for a time, but due to the disruption in the cycle of oxygen to the skin (suffocation), it will soon appear dry, flake or peel, thus requiring the application of more products. This creates a vicious cycle in which the skin never receives any vital nutrients or hydration, including water, thereby creating a dry skin condition, rashes, or dermatitis like acne or eczema. Simply put, dry skin is created when these two vital bodily functions are disrupted. 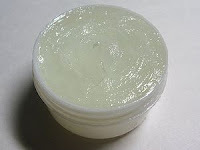 The purpose of a moisturizer is not to “lock in” moisture as is often advertised. Locking something in prevents something from getting out, as previously discussed. What a moisturizer is intended to do is hydrate your skin and slow the absorption of water from it. Hydrating nourishes the skin, keeping it healthy and vibrant. This is accomplished by using a moisturizer made from plant or vegetable oils which provide a natural-based shielding product. A few examples of skin-loving, non-comedogenic (won’t clog pores) ingredients are: jojoba oil, shea butter, vegetable glycerin,water, aloe vera gel, aloe vera oil, sweet almond oil, avocado oil, grapeseed oil, mango butter, and coconut oil. Companies committed to providing nature-inspired, mineral oil free products such as essensu, will ensure your skin is being being provided a healthy alternative. The continued use of mineral oil also increases premature aging of the skin. People using products containing this ingredient often wonder why they keep looking older or why their skin continues to dry out, even with the use of moisturizers. It’s because the skin problem is not being treated, it’s being masked, and possibly even worsened. If a skin problem was being masked through use, it will quickly reappear once the offending product is stopped. Also, skin becomes dehydrated as mineral oil dissolves your skin’s natural oils. 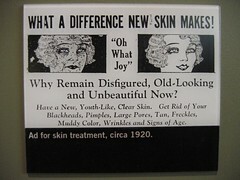 This too, makes skin look older. It’s also been reported to slow down skin function and cell development, resulting in premature aging. (In addition, skin will burn faster when using petroleum products, which also contributes to photo-aging damage). Why is mineral oil so widely used in mass produced skin care products? The answer is simple — it’s cheap! Mineral oil is leftover liquid from the distillation of gasoline from crude oil and because it’s in abundance, it’s inexpensive. It is less expensive for manufacturers to purchase these by-products and use them as a filler, than it is for the industry to dispose of it. In addition, because it’s inert (containing no chemical activity), it acts as a protective agent, allowing the product to have a longer shelf life and not spoil. This is similar to the purpose of high fructose corn syrup in processed foods; mineral oil dramatically extends the shelf life of products which contain it. Much like high fructose corn syrup, mineral oil can also lead to nutritional deficiencies, in extreme cases. This occurs because the body’s ability to eliminate the built-up toxins has been slowed and interrupted, thus giving the mineral oil the opportunity to absorb the fat-soluble vitamins A, D, E and K from the skin. Then, the only way to alleviate these nutritional deficiencies and restore these vitamins to their proper levels is through food and supplements. It’s up to you as the consumer, to become aware of what the ingredients are in the products you apply to your skin. Product manufacturers of commercial, mass-produced skin and body care are not going to cite the harmful effects of mineral oil on their label or in their product literature. (“Frequent and long-term exposures can result in health hazards and in a variety of skin diseases that are generally designated as dermatitis”) (Runge and Duarte, 1989). While mineral oil is not proven to cause cancer, it is still an injurious agent and should be avoided. For instance, baby oil, which is touted for babies, is actually mineral oil and fragrance. Stated directly on the label of a well-known brand of baby oil, they claim that: “pure mineral oil forms a silky barrier to help prevent excess moisture loss” and it “moisturizes baby’s delicate skin and helps protect from dryness.” These are their actual claims in support of mineral oil’s effect. Mineral oil is the main ingredient in many other commercial baby care items as well. Besides baby oil, there is petroleum jelly for diaper rash, baby wash, and baby lotion with mineral oil as the key ingredient. But once again, mineral oil is a derivative from the distillation of gasoline from crude oil, and the barrier it forms actually suffocates the natural breathing process of the skin! Is this what you want, especially on your babies? Studies funded by the FDA implicate pore-clogging petrochemicals like mineral oil as one of the major allergens in skin based products. Allergic reactions from these allergens range anywhere from scaliness and rashes to eczema and acne. Last I checked, we use lotions and creams to prevent and heal such reactions, not cause them! Currently, it’s been reported 90% of all cosmetics contain mineral oil or its derivatives, including eye shadow, foundation, blush, lipsticks, lip gloss, lip balm, shaving cream, cleansers, moisturizers, lotions, creams, conditioners, self-tanning lotions, and most SPF sunscreens, to name a few. The good news is it’s never too late to make a change. 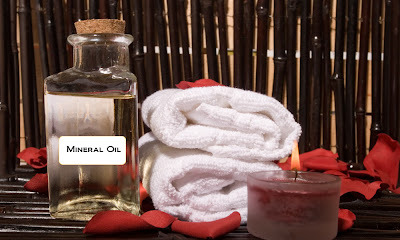 Alternatives to mineral oil are natural or organic oils. The use of pure, natural oils will increase the cost of the end product for the consumer. However, the benefits are natural, botanical ingredients absorb into the skin to provide hydration and protection from the environment and aging by allowing the skin to breathe. You have to be an advocate for yourself. Protect your skin: read your labels, educate yourself, and choose natural products like those offered by essensu holistic skincare that do not contain harmful agents, but rather, are good for your skin. * Shayna Abiuso, writer-at-large, contributed to this post.